Situated in the middle of The University of Louisiana at Lafayette lies a study in contrast. 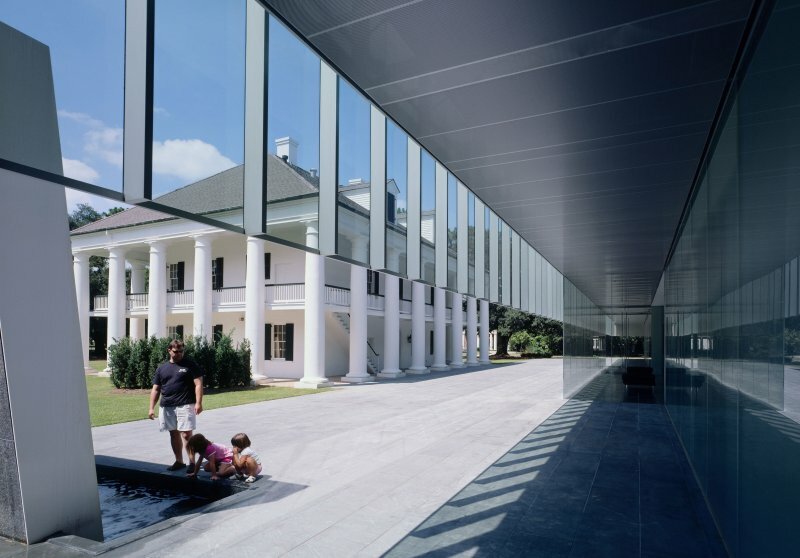 The original 1967 University Art Museum, a replica of an antebellum plantation home designed by noted Louisiana architect A. Hays Town, would seem an unlikely partner to the modernist glass and steel enclosure of the newly designed Paul and Lulu Hilliard University Art Museum. The juxtaposition, entirely intentional in design, creates a dynamic dialogue between past and present. 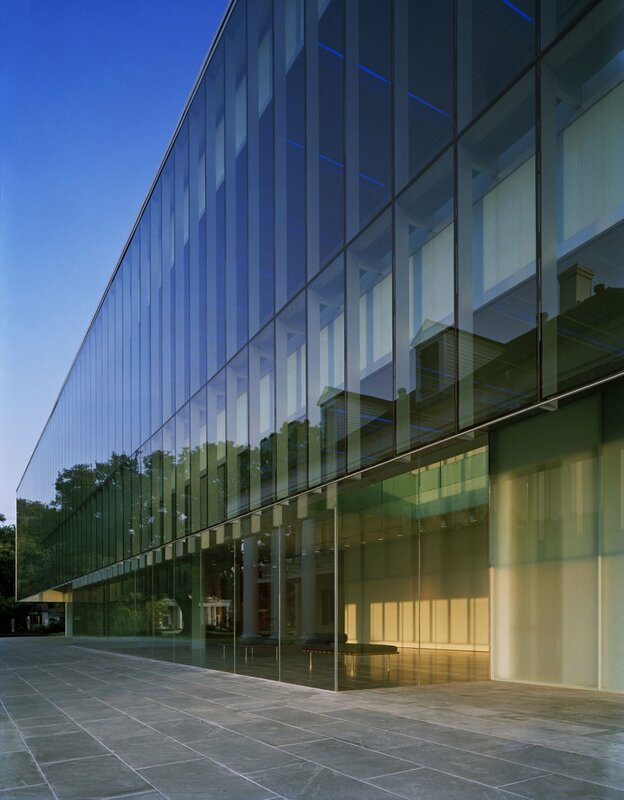 From the exterior, the new building’s glass façade hovers above visitors entering the museum, reflecting in its surface the pre-existing Hays Town Building and live oaks of the surrounding sculpture gardens. 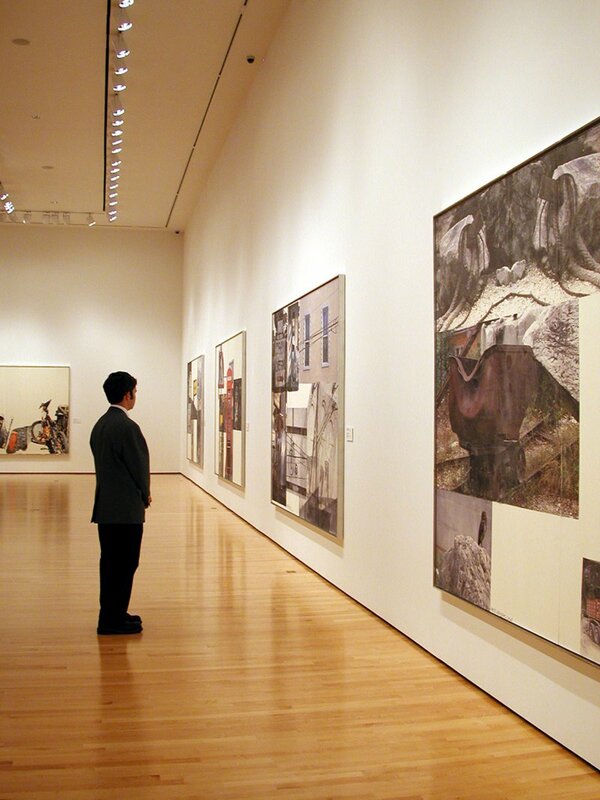 It is upon entering the museum that one realizes just how deeply the old site has been integrated into the new. Visitors are invited to look back through the glass façade, to a view of the Hays Town building, so that it seems the exterior of the former museum is almost intertwined with the interior of the new. A literal window to the past. Conceived as a tightly wrapped solid, the construction module of the new museum responds to the structural rhythm of the original building while clearly departing in material and treatment. At night the project is rendered in a deep blue light through the use of cold cathode tubes located above perforated metal ceilings, a striking contrast with the more traditional lighting utilized in adjacent building. Internally, the building spatially unfolds as the visitor moves through a series of sky-lit spaces punctuated by vertical shafts that penetrate the lobby and atrium gallery. 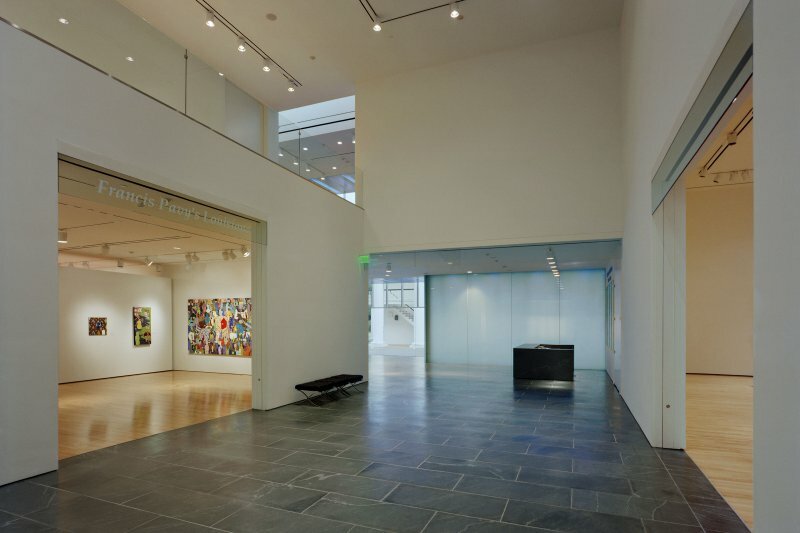 A simple planning organization clearly differentiates art spaces from support spaces. 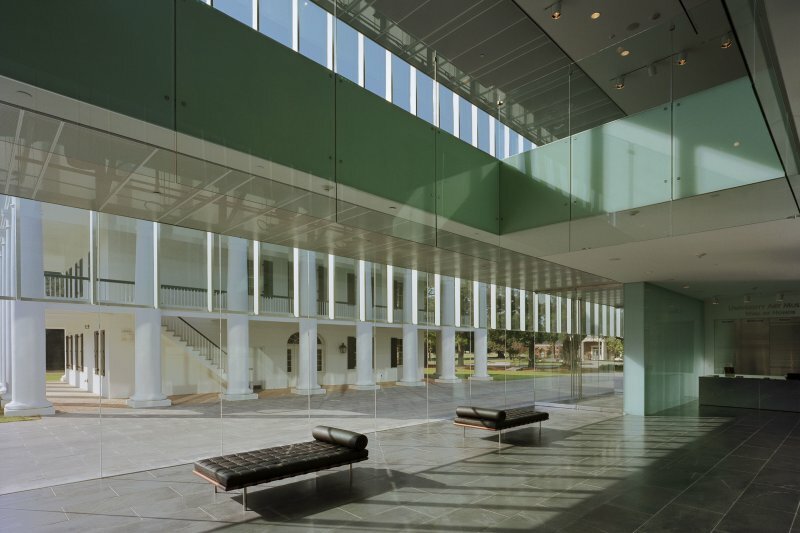 To further assist with visitor orientation, a common public area is provided along the entire face of the second floor, where the expansive glass façade allows uninterrupted views back to the Hays Town Building, plaza fountain and sculpture garden. 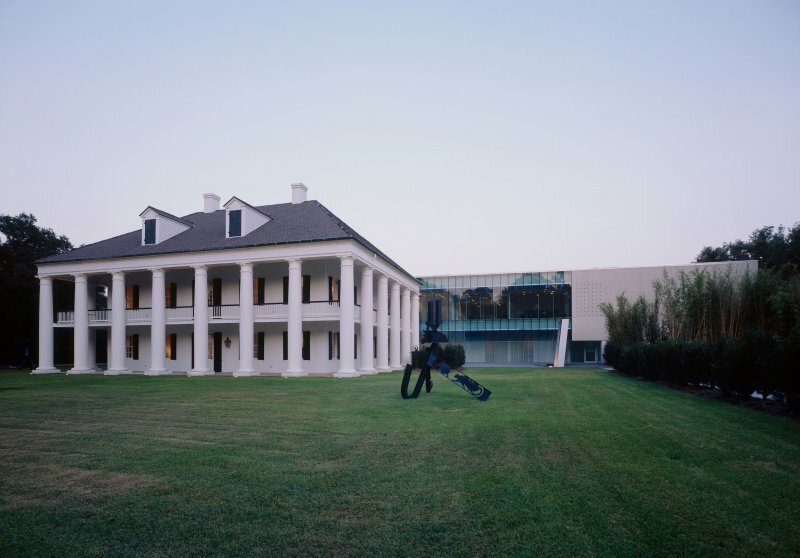 The resultant feat is twofold - simultaneously creating a communal space for students, faculty, and the sur- rounding community to engage in truly world class art, while providing a bridge between the historical architecture of Louisiana’s past and its contemporary present.